Avoid wasting time emptying a small vacuum bag multiple times when you can just vacuum and shred leaves directly into a leaf bin with the LeafPro Universal Leaf Collection System from WORX. The 8-ft.-long hose connects your leaf blower/vacuum to a mesh hood cover that cinches over any 32- to 96-gal. round or square waste container. Once it’s attached, move around the yard freely with the container in tow, filling it with leaf mulch. Simply unhook the LeafPro and set the waste container aside when done, and you’ve just cleaned the yard without touching a single leaf! 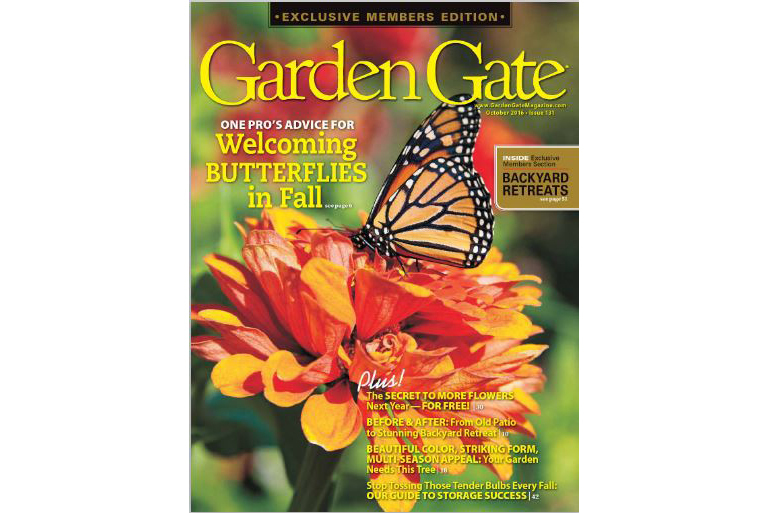 Learn more about Garden Gate here and the WORX Universal Leaf Collection System here.